At 4:30 pm Eastern today, the National Aeronautics and Space Administration issued a Press Release on Student Spaceflight Experiment Program (SSEP) Mission 1 and Mission 2 to ISS experiment payloads flying on SpaceX-1, October 7, 2012. The full text of the NASA Press Release is provided below. Over 200 partner institutions – school districts, corporate foundations, businesses, community foundations, 26 Space Grant lead institutions, local and regional governments, and universities –have made SSEP Mission 1 and Mission 2 to ISS possible. Virtually all of these institutions have representatives subscribed to this SSEP National Blog. To the participating schools and school districts, please share the adventure with your students, teachers, and families, and stand up and recognize all of the remarkable student research teams. To all the other partner institutions, please share this with your staff, accept a heartfelt thank you, and be proud of what we have done together. 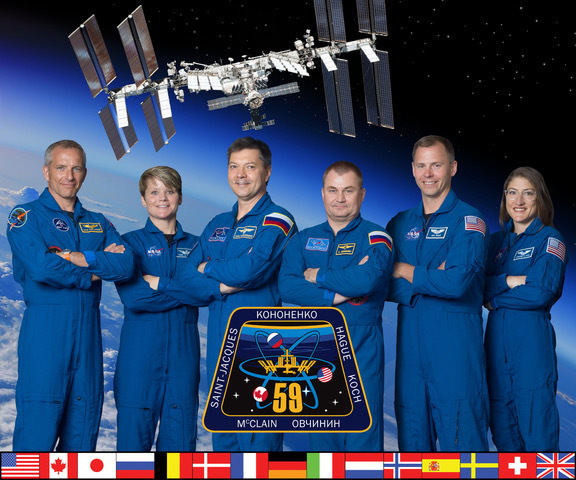 Other news: Mission 3 to ISS program operations commenced on September 17, 2012, with 17 communities, 6 of which are on their second, third, or fourth SSEP flight opportunity. The Mission 3 payload will be flying to ISS in Spring 2013. Mission 4 to ISS will be announced nationally October 2012, for experiment design starting Spring 2013, and a flight to ISS in Fall 2013. WASHINGTON — Twenty-three microgravity experiments designed by participants of the Student Spaceflight Experiment Program (SSEP) will become part of space history Oct. 7. They will be launched to the International Space Station aboard the SpaceX Dragon, the first commercially developed and built American spacecraft to fly a resupply cargo resupply mission to the station. Twelve of the SSEP experiments are getting a second flight opportunity. They were delivered to the space station on a SpaceX demonstration mission in May, but were not completed. The other 11 experiments are new. SSEP payloads were flown in 2011 aboard space shuttles Endeavour and Atlantis on their respective STS-134 and STS-135 missions. The third round of experiments in May was the first to be conducted in orbit by space station astronauts. Next week’s Dragon launch is the fourth flight opportunity. A fifth suite of experiments is scheduled for spring 2013. More than 100 SSEP students, teachers, and family members will travel to Florida to attend the SpaceX launch from Cape Canaveral Air Force Station. SSEP is one of many programs that use NASA’s science and exploration missions to encourage students to pursue a STEM-centric school curriculum. NASA’s Office of Education is committed to inspiring and developing the next generation of scientists and engineers through experiential, hands-on learning.